Trend watching has emerged in big business as a discipline of business management and a popular topic among top media publications and futurists. Small business can benefit from trend watching, too. The best time to enter the market is when the trend is entering mass awareness so educating a market is less expensive. The following four trends with specific business opportunities were selected for longevity, market awareness, and potential profitability. Youth Market: The Y generation is a market force to be reckoned with. This power is why a small-town pop sensation, Avril Lavigne, can go from obscurity to the 5th most searched word on the Internet and move to the number 2 music spot on Billboard's Top 200 charts. This power is also, why the auto industry can expect peak numbers from 27 million teen car buyers, and 4 million new buyers, a year for the next 8 years. 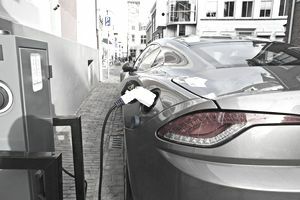 Green Power: The environment trend has been around and been a struggle for many companies, such as automakers with electric cars trying to capitalize on the green awareness. The care of Mother Earth is still a big concern in society. According to a recent Harris Poll, over 74% of American adults believe in the global warming theory. Over 73% of U.S. citizens approve of the Kyoto agreement for countries to limit their carbon monoxide and greenhouse gas emissions. Although the United States has not signed the accord, countries like Canada, that have accepted, the accord will be a watch place for the impact. Opportunities: This trend will be supported by businesses reducing reliance on oil & gas with new forms of energy like wind power. Also, look to companies helping companies reduce energy consumption with new forms of energy saving products. For example, one small business is profiting from installing energy efficient shipping doors for corporate shipping operations. Quality of Life: The wellness and health trend shows no sign of slow down since it's early infancy during the 80's fitness movement. This trend is the convergence of rising health care costs in all developed countries, the aging of the baby boomer, the desire to keep our youth, and growing life expectancy. Wellness encompasses: looking good, feeling great, being healthy, and fighting aging and disease. Internet usage continues to grow. Pollster, Ipsos-Reid's, Internet usage survey shows 72% of Americans have gone online at least once during 30 days in the past year. Canada has the second largest usage penetration with 62% of Canadians online. With increased usage comes more online spending. Opportunities: With billions of dollars of goods sold online, many businesses will need assistance in website rebuilds and search engine optimization. Look for growing markets in e-learning and online gaming. Don't forget computer security. Gartner Group estimates only 35% of small & medium businesses have disaster recovery.